I have tried a number of brands and sets of strings, to find which best suit playing without nails. I’ve paid for all these strings myself, so I have no relationship with the companies mentioned. Update: These strings have surprised me by lasting over two six months. The quality of production is excellent, and when purchased in 12-foot lengths, are as economical as nylon equivalents. Recommended. Another piece of news is that Damian Dlugolecki is sending me one or two of his varnished gut strings for comparison. A review will follow. Update: They came. They went. Not for me. However, my cyber friend, Kacper Wierzchos, loves them, and he too plays without nails. 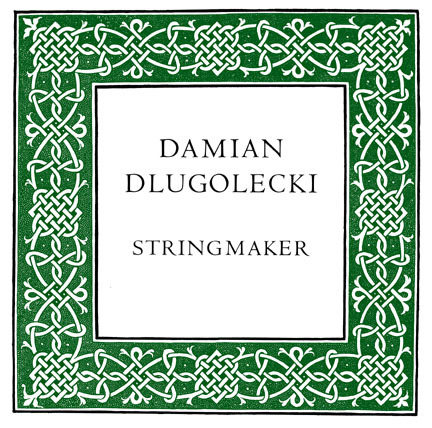 My favourite gut trebles are made by Damian Dlugolecki of Damian Strings in the US. He offers plain or varnished gut. I only like the plain variety. These strings should last a long time, especially when only played with the flesh of the finger tip. They are beautiful strings to touch, and the sound is warm. Recommended. He offers them as single purchases, or as part of a set. However, his basses are modern synthetic strings. Available as a gut set, or with modern basses. I tried these once. They lasted a week. Very poor quality compared to those above or below. Not recommended. 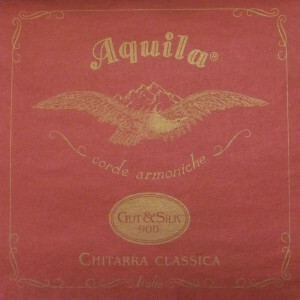 Aquila have changed their Gut & Silk strings from when I first played them. Initially I liked them, but with recent set, only the basses were useable. The three treble strings were very rough, and had intonation problems. Disappointing . 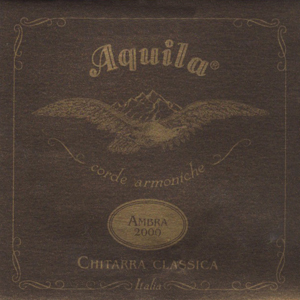 From the Aquila website: “This set which is made with only one degree of tension, riproposes excatly a historical assembling, tipycal of the period of Llobet and Tàrrega by using only genuine gut strings for Trebles and silk’s core wound basses, as it was said by Pujol in the “Escuela Razonada de la Guitarra” of 1934.” Pujol gave measurements for the strings he used, which Aquila have taken for their production of these strings. One possible downside to using this set is that they cannot be tuned to modern pitch of A = 440. Best tune them a semitone lower. If you like loud, strident, cutting basses, look elsewhere. The basses here are soft-sounding, and with little sustain, but I find them beautifully balanced with gut trebles – I’d say they are the best bass strings on the market at the moment. Aquila have produced two types of nylgut (nylon with some properties of gut), now referred to as Old Nylgut and New Nylgut. This set has trebles made from the Old Nylgut, which is milk-white in colour, and very smooth in texture. That said, the Aquila website mentions New Nylgut, or “Supernylgut®”. The set I currently have is of the Old Nylgut variety. The basses use Aquila’s own invention: Sylkgut cores. I’d like to say at the outset that I don’t believe that using nylgut is anywhere close to the experience of playing real gut, but it is probably the best alternative we have today. The sound, though, is warm, less bright than modern strings. The trebles are ever so slightly rough, not nearly enough to cause a rough sound, but just enough to give good contact with the flesh. They are also much louder than the Aquila brands. When I first put them on, there was quite a bit of noise generated by the right-hand fingers sliding along the string, but as the days go by, that sound decreased. They have a nice warmth, treble and bass, and the low tension means I can control vibrato better. I only play with my finger tips/flesh no-nail. Never understood why others grew their nails as a method of playing the nylon strings I suspect the “attack” on the strings may produce a louder ( but not necessarily a nicer) sound. Thanks for the comment, Joseph. It is good to know there are other people who CHOOSE to play without nails. Hello Rob. i write to you, to thanks you so much for the geat inspiration you deliver to me, with this site and all your videos. I play electric guitar since a long time now. i began when i was 12 and i’m now near 50 (mostly metal style). I have always liked the classical guitar too. I even take some classical lessons at a time. The teacher said to me that i should grow my nails to play classical guitar. So, in my mind, i have always think that i can’t play it properly, due to the fact that i can’t stay my nails long. They brake easily, and with my job, that just don’t work. But since i find you, your site, your videos, things changes dramaticaly :). Play with no-nails is a way to play and no-nails classical player do exist :))) sorry for my bad english, i’m from Quebec, Canada so my first language is français. Hi Serge. Great to hear your story, and sad too. There are many people who give up or never get started for the same reason: there seems to be an accepted Law, that you cannot play classical guitar without nails. Clearly this is not true. I’m very pleased that my website has convinced you otherwise! Now you must make up for lost time! Get practising! Thank you so much for sharing your experience with all these different kinds of strings. I tried the Aquila Ambra 2000. Did not come with yellowish trebles, but seems to be way better (warmer yet clearer somehow, and loud ) than the old nylgut. Really curious about the savarez 520B now. I hope they as loud as you described them and that I like the feel of them. Thanks again for all the info! Cheers, Josué. I guess you’ll never really know until you try them yourself. Thanks for your thanks! Hey! I’m the another one who plays without nails. I haven’t such experiences with different type of strings, but I find Savarez KF for historical plucked very nice and comfortable. Here is Aquila AMBRA 900 set on wandervögel and nails. Aquila “Gut’n’Silk” set on guitar and no nails (me). Now I see… that said, I play modern classical guitar with no nails as well. But mostly with my pupils and just for fun, I have no concerts with it and there is no recordings. I use Hannabach nylon strings (or Savarez KF Alliance for classical guitar) and like it very much, both of them. I feel very comfortable playing without nails, it gives more control with details, dynamics and articulation. Thank you, Konstantin. Perfect comments! Nice to hear from you, John. I’m busy at the moment, so will add you later. Do you have any videos online, recordings available? If I’m being purist about it, the Aquila silk-core basses are the only option. They are perfect. But they are deigned for a lower pitch. You might try Savarez White Card, which are not for the purist, but they are not bad, both trebles and basses. You might look for the US equivalent of Bow Brand harp strings – plain gut made to a high quality, and cheaper than the alternatives. There must be a harp-string maker in the States. Cheers, John. If and when you do make videos and/or recordings, do let me know. And thanks for all your supportive comments – they are appreciated. Best wishes for your studies, and for the coming year. Hi Rob! Thank you for a great resource. I just recently started playing again after 20 years, and I (re)started with nails, and then decided it wasn’t worth it. It’s different, playing without nails, but since I’ve completely forgotten everything I knew about playing, it isn’t much of an issue. 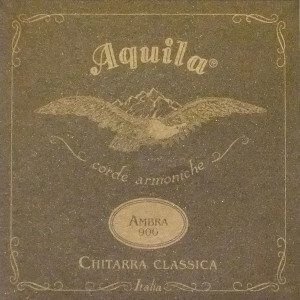 🙂 One question: You mention above that the Aquila Ambra 900 are “probably the best alternative we have today”, but the strings-by-mail site says that these strings are “Not to be tuned above a=430hz “. That seems odd to me, and since I tune to a=440, I guess they would be overstressed. But I’ve purchased the Savarez 520B white card strings, too, and I’ll try them. 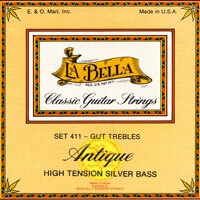 I’m currently using La Bella 2001M strings, but they do not have too even of a tone. And I think I’d like the rectified strings for flesh playing. Well, I put on the Saverez white card, and it is indeed far easier to play without nails. Thank you so much for the recommendation. I’m not sure what all the fuss is about the noise the trebles make; it is quite subtle (to me). Much more noticeable is the bass string squeak from some strings (which the Savarez really don’t have much of, either). Good to know they’ve worked out for you, Andrew. Hi Rob, any advice or opinion on optimum string height (action) when playing gut strings ? Thank you. No difference to nylon, Miguel. I prefer a slightly high action, as that helps get a nice vibrato when needed, but no higher than I would have with nylon strings. No mention of Pyramid strings. German company in operation since 1850. Pricey, as full gut set is $100 here in States thru Strings by Mail, with silk bass set selling for $70. I have not used any gut strings yet, but am close to giving them a try. Love the tonal quality on your recordings. Nylon sounds flat in comparison. Oh, by the way, thanks to you I filed off my nails this morning! So far enjoying the learning process to new technique. It appears the contact point needs to be different than what I am used to. So instead of the side of the fingertip where flesh and nail meet, I now make contact more on the pad side of the tip to avoid nail contact, and then snap up away from the guitar body to get high volume. I already see the range of volume, and the control of volume is greater and easier than with nails. Thanks for your informative website and YouTube videos! Hi David. Nice to hear from you. I tried Pyramid strings when I was a lute player, and didn’t really like them, irrespective of their cost. So, I never entertained the idea of using their guitar set. But let me know what you think of them, if indeed you go ahead and purchase them. I remember the day I filed my nails off, some twenty years ago. It was very liberating! But, to be honest, it took me six months before I was happy with the tone that was beginning to develop. I think the pads need time to adjust to their new role. So, my suggestion is that you don’t try to get great volume out of the instrument yet, as you might end up with blisters or calluses – neither of which I have. Take your time. And, yes, a little adjustment is needed to your technique. Be attentive to that, as you seem to be already. Hi Mathew. I’ve personally never played gut strings with nails, so my comments should be taken in light of that. Aguado played with nails, as did Tàrrega for most of his life, Llobet too, and they all played gut strings. So it must be possible. However, their guitars were more lightly built than most modern concert guitars. You say you have a strong attack, so I’m not totally sure if they would suit you. But you’ll never know until you try. You might just have to lay out for the cost, view it as an experiment. Then you’ll know, one way or the other. Good luck! Thanks for the quick response! I took some time to check out the rest of your site, I really love that you put together a player list with recordings… it illustrates what we’ve largely lost in the current approach. I’ll contact Bow Brand and see if they can ship some strings over. I prefer traditional guitars that breath, so I’m almost sure that gut will be a good match for my guitar, whether it will suite my right hand I’ll have to keep you posted. if the sound is truly what I seek I’m not ruling out a change in technique. it’s been too many years with the nylon. Regarding gauges I know how much tension to expect from a 0.737 high E and how much from a 0.711, do you know what the Gut equivalent would be? considering they are denser the gauges must be lower for the same tension. La Bella seem to use the same gauges for their gut set as they do for the nylon, while Aquila’s Ambre 900 with nylgut are much thinner. I don’t know about exact equivalents. I order 0.66, 0.80 and 1.00, but some people find these too tense for them. So, perhaps my gauges could be considered High Tension. That might suit your technique. As ever with strings, some experimentation is needed. If there is one string more likely to break than the others, that would be the first. I usually order an extra length of that, though the present Bow Brand one has been on for three months, and is still looking and sounding good. I expect the other two to last a year or so. So, although there is an initial outlay, you won’t have to do it every month. Yes, let us know how you get on. Hi Rob, thank you for all the useful tips and the beautiful music you share. I am curious to try the Bow Brand strings: at which pitch do you tune them? Can they reach 440Hz? Thanks! Sorry for the late reply, Carmine. Your post got sent for moderation, for some reason, and I never noticed it until now. Gamut strings will go to 440. I’ve used them for months at a time with no issues. Medium gauge for first string, and light gauge for 2nd and 3rd strings. Rob, David, thanks for the replies! I had the chance to try the Bow Brand but they sent me the varnished ones: I was able to tune them up to 440Hz and they lasted quite long with nails playing. I have not had the time to try again with the unvarnished ones, but if I do I will keep in mind your recommendations. Just quick update, I contacted bow brand, still waiting for their reply, but in the meanwhile I put some rectified trebles on and cut off my nails….! I played for the last few day with clear trebles but it seems like clear nylon leds itself much better to playing with nails, while rougher strings are much better with the flesh. this might have a lot to do with why most people play with nails. My wife was shocked… but I said that if I want to give this a proper shot I might as well do it properly. so now I have sore red’ish finger tips and much less production! I am taking your tips from above about not playing too much at first. already it is obvious the sound of the flesh has great musical\emotional attributes compared to the nail, this was nothing new to me, but I was always told that sufficient tone production cannot be attained without the nails. Thankfully I already use the flesh on the thumb 90% of the time so I can use it to asses the sound potential of the stroke. this no doubt is a specific study, but one I am looking forward too and I think can be very worth while. thank you for creating these pages dedicated to this matter. I will post videos when ready. Well, good for you! That’s quite a plunge. I remember the time I did it. I felt quite liberated, but also very worried. It worked for me in the end. Best advice: tune your guitar down a semitone at least, until you fingers get over the shock. I don’t at all like flesh on nylon, at least I haven’t found a way to get the sound I want that way. If you want to stick with nylon, try White Label Savarez (mentioned above) as they have that rough touch you are looking for. That will keep you happy until the gut arrives. I thought about it this way – how long will it take nails to grow back? maybe 2-3 weeks at most to usable length? so, it’s worth the shot. Indeed I am still wondering about certain aspects of technique, especially arpeggio and note articulation (in places like La Catedral by barrios for example), tremolo and such, but only time (and study) will tell! I hope to start a youtube channel soon’ish, I just need to figure out a recording setup for computer a dummy like me. Rob, I’m curious as to whether you have a preferred spacing at the saddle for playing sans nails–do you require more spacing to dig in? I notice modern classical guitars seem to be getting tighter and tighter at the saddle, some down to 57mm, which may be fine for nails, but feels way too tight for a flesh only technique. I have small hands, but have noticed that 60mm is the minimum for myself. By the way, love your playing and have spent lots of time enjoying the music you make–thank you for all the recordings and videos. Hi Allan. Good question. The guitar I had before the Ambridge was 60mm at the bridge, and I found it very comfortable. When Simon Ambridge told me his guitar (which he made for himself, but which ended up in my hands) was 57cm, I thought I would not get along with it. He told me that most of the guitars of the Tàrrega period were 57cm. So I decided to give it a try. It took about half an hour to get comfortable with it. Of course, I had played some 19th-century guitars with 57, even 53cms, so I had some familiarity with the spacing. Honestly, once you get stuck in, it doesn’t really matter, you just get used to what you have. Well, that’s my experience. Good luck! Let me know what you end up with. Well, I am the newest player to join you I am sure. I am just entering into the world of classical guitar and have much experience in other genres (Jazz, folk, blues all finger style) but to classical I am a newbie. You will find this a bit ironic. One of the main reasons I have not been successful with classical guitar is that I cannot grow good nails! They are thin, crooked and constantly break. All of the teachers I have sought out have insisted that I needed to find a solution. I won’t bore you with the details but I have tried every conceivable alternative with no success. So I just returned to my Jazz and folk played with my fingers and gave up on playing classical. Then I found you Rob and the possibility opened for me. But now I am a bit lost in the world of strings that you discuss. At this point I just need a beginning approach for dummies. I have acquired a very nice guitar, but with nylon classical strings. I want to get started with lessons and then gradually shift to better strings, etc. I think you offer instruction but I am not sure how to hook up with that. I have signed up for this blog and will keep reading and learn more and more as I go along. But right now I need some 101 mentoring. Thanks. Hi Don. Nice to hear from you. So many people give up classical playing because of the nail thing, and it’s not the problem it is usually made out to be. You have a classical guitar now. Just regular classical strings will be fine, but I suggest you tune them down a semitone, not for any historical reasons, but to reduce the tension, and make things easier for your right-hand finger tips. I would do this for six months. After that you could start creeping up the pitch to 440, if you absolutely must play at that pitch. The fingerpads need time to get used to their new role, and you do not want them hardening with calluses – another misconception, in my view. My pads are soft, and I use hand cream on them daily. I teach many students via Skype or FaceTime, quite a few of them in the US. Let me know if you ever want to hook up. Hi Max. Good to hear from you. I wish you well with your new way of playing. One day you should try good-quality gut strings! Recording equipment: Rode NT4 Stereo mic; Fostex FR2 LE hard-disk recorder; Wavelab Essential 6 editing software. Hi Max. Thanks for your three comments. The Savarez White Card strings can be tuned to 440 – no problem. I’ve also just tried the Pepe Romero Rectified High-Tension set, and they are very good, although I wish I had bought the Normal tension set instead. Hi nebojsa. All I say to Bow Brand is – send me plain gut, with diameters 0.66, 0.80, and 1.00 – and that’s what they give me. I’ve no idea about harp-string octaves. I just purchased a Richard Howell ornate Torres, should arrive late fall. I also play without nails and was wondering if you would have a recommendation for what strings I should try on this guitar. The recommendation is light tension because of the thin sound board. Congratulations on the new guitar. I give my recommendations above. Savarez White Label are low tension. Unless you want gut? In that case 0.64, 0.80 and 1.00 should be light enough. Thanks Rob for the great web site and recommendations. Also enjoyed your playing very inspiring. would the low tension require a lighter, e.g. more controlled pluck than the normal tension used at this time. to try again at classical nylon after inspired by per-olov kindgren videos…..finding your video & web page was just icing on the cake! Hi hoke. If you are used to playing with flesh on steel, then you should be able to cope with a normal to high-tension nylon string. My advice was aimed at classical players suddenly confronted with flesh only on nylon, which can take a bit of getting used to. So, go for a higher tension, is my advice. And good luck! thanx Rob for the advice…..forgot to mention we tune to 432hz in D. was concerned about the L.T. strings being too flexible at this tuning….anyway your advice towards the h.t pretty much solves the issue. 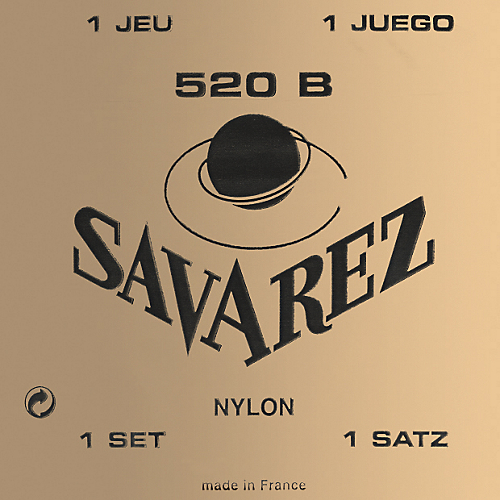 our music store only stocked 520p Savarez. we checked theSavarez website before opening the packet. these 520p contain a plastic wound G & B. would these would strings be okay….would imagine they are used for tonal effects. Hi Hoke. I’ve only ever tried 520 B. I don’t think I would like a wound second and third string. greetings Rob, we’re having success playing naked. though would like to pass on that we use latex gloves to work through a condition we have that causes finger joints and finger tip skin to split open & stay very sore for many weeks. actually the credit goes to my wife for thinking of using the finger sections of a small latex glove to cover whichever digit that is hurting; at this typing it is only the thumb. tried using clear nail polish. even after many layers the polish never protected. if there is anyone out there with really sore finger tips this may help. use a section that is much smaller than the digit needing to be covered. so far it is working great on the right hand thumb. and seems to last. also it provided a good grip on the string which plucking. we feel confident it would work on the other digits on the right hand. Hello Rob, I am currently using Savarez white card after read it on your website, I am quite happy with it. But I would like to hear your opinion about this: if you need to choose a full set, not mixing strings from different sets, wich one you think is more balanced? and making a mix? How you would configure it? Best regards. Hi Rob, thanks for answer. Also I want to use gut strings in the future, but too expensive for me right now. I forget to include in my questions that I am asking about your personal opinion into what refer to nylon or nylgut strings. Sincerely, Alfonso. I’m not a fan of nylgut. The claim that it is just like gut is not true – it is very different. But, again, you must try these things yourself. You might love them, as many people do. Agustín Barrios Mangoré played with steel strings (the first two strings I think) and also with fingertips. I will post again when I receive it and put this strings it on my guitar, maybe is interesting. I stopped playing the guitar when I took up the lute 20yrs ago but recently ‘found’ my ’96 Ramirez 1a languishing in the attic and in perfect condition! I put on a set of D’addario low tension strings and I am quite amazed at the sound – without nails obviously – I also tried some Savarez White Card but they didnt work so well. I tuned down to a’=392 (not 408!) which gives a little less strain on the fingers but I am pleased with progress. Harmonics are a bit harder to get cleanly but they will come with practice. I mighr even bring the Ramirez up to a Slegs meeting! best wishes and thanks to your site! Cheers, Charles. We have a convoy! Now you’ve done it. I have been away from guitar for about ten years, discovered your site/videos/ideas and I’m truly enthralled. Studied pretty seriously 1970’s-1990’s, then family/work took over… But I got out my “beautiful guitar” (as opposed to the OK guitars), been trying out what I can glean from what is here, and now I get to blame you for a really sore left hand. My question about strings is because my “good” guitar is a small 632mm string length. Kind of Panormo/19th century style but fan braced, very lightly built (Benito Huipe, in the ’90’s”). I know you have moved back up to longer string lengths, but this guitar just fits my hands. I understand this is limited information – and ultimately a personal choice -but as you are more experienced could you offer some guidance what might work better on this type of instrument? I did try the La Bella gut way back when, but using nails/rest stroke they shredded in about two weeks and never did sound that good. When I bought this it had D’Addario Pro-Arté, and I kept cycling back to those with the harder 3rd string. But this new-to-me technique is going to require something else, because it is truly something else. Bless you, curse you, thank you. I’m joining the convoy. Good luck with your return to the guitar! Thanks for your advice and quick reply. It looks like the gut and silk sets are no longer being sold in the US. Ordering direct from Italy is the only way to go, and a little pricey for me right now. I’m looking into Gamut (but their basses are wound over gut) and/or your approach of getting gut singles from one if the various suppliers. There is a large early music community here and I’m nosing around to see if I can get some gut singles without breaking the bank. In the meantime I guess I’ll experiment with the Savarez to see how the change of technique goes. Okay, Robert. Good luck with it all. Very great warm sound from Bow Brands strings !! I think I will try to order one set of trebles maybe with less tension (0.64 for 1st) for my flesh technique and my poor C40 guitar !. Just about 3rd string : why did you keep Damian’s string for it ? Does not exist at Bow brand ? And is it possible to know what kind of microphone is used for these recordings ? Sorry Rob forget my question on recording, I just read you have answered before !! The third string is the most difficult to get right. Finding a musical third that you really connect with is important, as they can last for years. While Bow Brand 3rds are perfectly acceptable, I was lucky enough to get a great third from Damian. I don’t always use it, though, saving it instead for recordings. Now, I’m unsure if Damian always makes great 3rds, or whether Bow Brand never does, so you have to be willing to explore and experiment. But a 3rd from Bow Brand is no bad thing, and I’ve used them before. Hello, Rob. I’m an older player-72 years!-who has been trying for several years to coax moving music out of my guitar. I had three years of lessons, but HATED nails. Fungus afflictions, etc. And I had really fallen in love with the classical guitar sound after hearing Ida Presti. I looked at gut strings but was put off by, what seemed to be, their arcane, outlier quality. Then I came across your site! What a revelation. I think I have watched all of your 101 videos. Away went the nails. I bought Damien trebles and Aquila basses and have been luxuriating in the sound ever since. I also found a new appreciation for the works of Dowland. You play so beautifully. Thank you. Hi, Bruno! Great to hear from you. Your email has made my day, and I thank you for writing. Yes, I still rate Damian’s strings highly, and either use his trebles or the cheaper ones from Bow Brand, when money is tight. So, now you must make up for lost time! Play every day, if only for half an hour, hopefully longer is possible. I’m available for a Skype lesson, should you want to give it a try. Cheers, Rob. Hi Steve. Nice to hear from you. As you know, I’m an advocate of flesh and gut, but I’ve never personally tried gut on a double-top guitar, so you would be doing a bit of exploration there. If you go ahead, please share your findings. I prefer to use traditional Spanish instruments from the Torres, Manuel Ramirez school, as they were conceived when everyone played with gut and silk-core basses, and at a lower pitch. All these things combined – pitch, string material, flesh – can make a big difference to sound and feel. As for “the talk” with your teacher, you could maybe let him know about the flesh players I mention on my Players page – they form quite a tradition! Hi. I’m going to start learning classical guitar next week. I am from Costa Rica so any specialty strings (ie not regular D’Addario strings), I would have to order by mail. Since I’m starting I don’t think expensive strings like gut would make much sense. Should I just stick to regular D’Addario Pro Arte Medium Tension Strings (or another tension) or maybe order some sets of Savarez 520B to have the rougher strings? THANK YOU for your site and videos! I’m 24 years old and have wanted to learn classical guitars since I was a little kid but never started out because I don’t like nails at all and I’ve always been told they were absolutely necessary for classical guitar. Now that I know that’s not the case, I’m ready! Hi Fernando! Greetings from far away Scotland. When learning to play without nails, I suggest low-tension strings. D’Addario Pro Arte low would be absolutely fine. You might find them too low, but try to stick with them for six months, before moving up to medium. I prefer rectified strings, which have a rough touch, which flesh likes. So, the Savarez White Card would be my choice there. But the main thing is get started, keep the tension low, so that your finger tip gets used to its new job, then concentrate on other essentials, like reading, timing, scales, arpeggios, etc. And good luck! Show my website to your teacher, especially the Players page, where he will see that you are not alone! So six months low tension and then switch to medium, noted. Are the Savarez 520B equivalent in tension to the medium Pro Arte? I might try both later on to see what my fingers like best. I’ll make sure my teacher checks out your site to open his mind. I don’t know if they are exact equivalents, but are close enough. Great. Thanks again for your help and for this site. I’ve been enjoying your videos playing your different stringed instruments all day. Have a great rest of the week and happy holidays! From their Pro Arte line. No, I haven’t tried them. Can’t help you there. Probably okay, though. Thanks for all your help. I wish you the best. What about steel strings. Specifically for a parlor size, Engleman spruce and rosewood. I have thoroughly enjoyed your website. Hi Dana. For acoustic guitars, I use Philippe Bosset “Soft Brass” strings, which I HIGHLY recommend. Look online for them. Cheers, Rob. Great, just ordered a set! Thanks for the reply. Sure, Dana, go ahead. I’m glad you like them! Confusion reigns in my mind . I am trying to decipher the chart of string dimensions from Bow Brand strings. A harp has all different length strings unlike a guitar . Comparing the Piano keyboard and Harp string frequencies it looks as if the low E at 82.4 Hz should be in the lowest harp (5th) octave or C2 on a piano . But string thickness above 1mm thick stops me going lower than the third octave on a Harp .one mm thick is all the tuner peg will allow . Harps count downwards .Top is first octave on a harp. Bottom notes on a piano start at C1. Like drunken Irishman on a tube train once he said “I don`t know whether I`m coming or going or Hwhat.”. I wanted to try all gut strings . That`s the bottom line. By the way I saw a short video (it was just a diagram really ) showing how a harp player plucks the strings .With the skin and not the nails although Irish harpists use their nails . I also asked a question on Delcamps about Chamfering the edges of the nut since Damien Dlugolecki says it reduces the breakages . Hi John. There doesn’t seem to be a question in your comment, so I’ll restrict my self to a couple of comments. No one has all-gut strings on a guitar, as the basses would be too thick, and too dull. Just use gut for the trebles. Order the plain gut in the dimensions I mention. That’s all you have to do. And Irish harpers use nails on brass strings. That`s the clue I had been working towards Rob . I fitted some all silk strings and the bottom two fell off a cliff for volume. The top strings are lovely .I thought gut might fill the gap . It looks like Aquila then . I shall pass that tip on to the nice lady at Bow Brand . Thanks Rob for all the great information. What brought me to the site was No Nails. I was struggling with the Right hand geometry, I was working towards the Pepe Romero technique, after reading his book and watching many videos and up close and personal. I found that the nails was the weak link. Off came the Nails and I felt a release of torment. I had the freedom in placing my hand at any angle possible and the finger tip flesh was ready to fire. Also the thumb was clear and free from obstruction with the index finger. I wish I had known this sooner. My instructor is amazed by my improvements in such a short time. I found this web site after the nails came off. I was amazed on the information Rob has put together here. How Terrega had switched over to no nails and many of his students. That made me feel good knowing i wasn’t alone, which has been motivating. Cheers, Norman. Pepe started by playing no-nails for a number of years when young, as, I believe, did all the Romeros. I recommend that, even if you eventually end up with nails. Good luck with your journey! Yes, I’m curious to see how nails will feel down the road. Just to see if things have changed do to my technique has progressed. But for now im able to concentrate on the music, not so much on technique. I had spent so much time on technique and it wasn’t until the nails came off that, everything came together. My nails are all shaped different. The index nail is very flat which restricted the other fingers from working in there optimum angle. And my thumb was always behind my index. I do also recommend that if a player is into the classical or Flamenco guitar to spend some time with no nails and gut strings. It just helps you experience the true tone and technique. I feel I have gained a much better perspective. Wise words, Norman. Sorry I was late in finding your comment. I thought I would go all the way, gut strings and 435 pitch. I purchased guts strings from Pyramid, Bow Brand,Aquila,Damian Dlugolecki and Gamut. I found that tone of gut was differently different. I found that the volume and treble is less. Which wasn’t a problem. The tone and fullness was unlike anything I ever heard, very addictive. Now on longgivity, I have each set on a guitar so i can switch back and forth. The guitars are 650mm. I find that the Pyramid high E, lasted 45min till it started to fray, which started buzzing, so I snipped the frays which lasted 5 min. Till they came back out. It lasted 3days and was unplayable. The rest of the set is fine except the A and D have lost their balance and vibrate out of controlled and intonation is no good. The Damin high has had the same problem as the Pyramid. The Bow Brands are turning the out last all of them. The High E was in great shape until a friend with nails had roughed it up a bit,which still didn’t fray. I was able to sand it smooth with fine sand paper and It is performing perfectly. So over all I confirm Aquila silk basses with Bow Brand is going to be my choice. Glad you found your choice, Norman. I’ve never liked Pyramid strings. I prefer the feel and sound of the Dlugolecki, but the Bow Brand are more processed, and could last longer. Very Hi quality. The D and B are working very well. What do you do to prevent the hi E from fraying and once it does how do you deal with it? Not all gut E strings from one producer can be guaranteed to work the same way as the others. The next one might not fray so quickly. Although I have managed to tune them to 440, I actually prefer 415. At that pitch they should last much longer. I forgot to mention that I also play the Drums and for years I used the plastic heads which most everyone use. I bought a drum with calf skin, I was thinking oh this needs to come off and on goes the plastic which is basically a sheet of nylon (dupont). When i hit the calf skins I fell over, blown away by the tone. I converted all my drums to calf. Everyone said I was crazy, I didn’t care. To each is own. Now what I experienced with calf and gut strings alike, the elasticity, the natural flexing which no plastic I know of can compare. Your fingers or sticks alike are reacting to a different substance. Which feels much better and more musical. Also tuning is much easier and more forgiving, not so much upper overtones, if your guitar is off on intonation its not a big deal as with nylon. A very good observation, Norman. Organic is best! I tried some Bowbrand gut strings and noticed they felt much tighter than the lower White Label strings. Just to experiment I moved the top three strings down to bgD positions. That levelled out the tension and the sound was much richer . Apart from that I am trying to manage silk strings . I tuned them to A –430 Hz and the top string popped in the case overnight .Just as it crossed the bridge bone. There is very little movement there and with a magnifier I could not find any roughness or sharpness . I think I might attach a piece of bone to the back of the bridge bone to form a rounder contact surface. If you slide a finger along a silk string it has more grip and to minimise that stress on the silk fibres I added a small bit of soft beeswax .Also at the nut . I asked a question on Delcamps about bevelling and polishing the nut edges and was told I was “overthinking the problem”. But Damien Dlugolecki advises this . The silk intonation can only be described as “pants” but as a test I checked all the worst notes and strings and did a very quick compromise tuning. If 4th and 5th frets were 20 cents sharp I just tuned the strings down to make the middle ones reasonable. It seemed to work fairly well with such a relaxed overall tuning. The silk sound texture came out rather well . A curious note for Scotsmen here . Some fly fishermen using silk lines go to the bother of coating their lines with boiled linseed oil then leaving them stretched out for the oil to oxidise . Another way to make a string last longer ? Good post, John. Thanks for the tip re fly fishing! When Simon Ambridge learned I was going to use gut and silk, he spent a good deal of time getting all contact points ultra smooth: bridge holes, nut, and tuning machine holes. That said, I’ve had one of two silk strings dying overnight, despite being at a lower pitch. We just have to accept that playing with historical strings involves some risk, expense, and stress, but the end result can be worth it. Hi Rob! Just wondering which bass sets you recommend. Thanks. Thank you Rob! I recently purchased a 630mm LaMancha and a Cordoba 640mm Torres model. Thinking about splurging on gut trebles for them. Surprised by your recent comments on nylgut. I thought you were once a fan. Your comments seem to be more favorable to aquila basses. Thank you for the quick response to me over here across the pond! Stringsbymail.com now sells Aquila Seta silk core bass sets for $5.69 US. Max recommended tuning is 435 Hz, which is fine for me as I use 415 Hz. Worldwide shipping. US shipping is very reasonable. I have no affiliation with Strings By Mail. Thanks for that, David. That will be okay for the older Seta sets, but Aquila have recently changed them to regular modern basses, and have given the older silk sets another designation which I can’t remember the name of. Hence my advice to contact them through their website. Hi Rob have today received my Bow Brand strings for the top three strings. Any tips on stringing the instrument with them as a newcomer to gut strings. Took the precaution of buying the longer lengths for obvious reasons. I tune my instrument down a whole tone from concert pitch as I prefer the sound and sustain I get from my instrument. Presumably this is low enough not to put too much strain on the strings. Gauges are as you mentioned in the above posts. 0.66 0.80 1.00. Sorry if this question has been posted before. Starting to enjoy the freedom of playing without nails and all the frustration it caused me with glue hardener and the like. Keeping your fingertips softer (if you can) is a good tip too. Thanks. Hi Chris. Good. Just tie them like any other string. The dangers are the contact points: nut grooves, bridge holes, and sometimes frets. If they are rough, the first string especially might break. If they are smooth, the first string could last a few months. Good luck! A tone down should be absolutely fine. Let me know how you get on. My name is Daniel, I have read your website and about a year ago I changed to no nails from 30years playing with nail. The best decision I made as for guitar. I just wanted to add my experience with strings. Tunning to A=440hz I have found the best combination being 2nd and 3rd strings= nylgut from Aquila and 1st string Alliance high tension from Savarez, though Knobloch and Corun New Cristal also work fine for 1st string. I have found out that nylgut for first string tunning A=440Hz is weak and when I play with a strong stroke it vibrates on the metal of the fret. Well, that is my experience. Thank you for your web and for all you effort and information. Cheers, Daniel. Thanks for the info on string choices. It would be boring if we all chose the same things. I’m glad no-nails playing is working out for you! Keep it up! Cheers, Ali. I’ve not heard of Alexandra. So many players these days. When I grew it was Bream, Williams, Yepes, and a very old Segovia. And I haven’t tried any travel guitars. So.e day, maybe. I’m happy to read that you play without nails! Best wishes! Hi Rob. First of all. What a great website etc. I stumbled across this quite recently and a revelation to me, thank you. I decided not so long ago to try classical guitar after many years of playing steel string both electric and acoustic( Quite badly!) I was quite fed up with comments from the so called Purists of what I shouldn’t do etc on the nails classical guitar websites. So no more nails for me and I am working my through Fernando Sor’s Easy first sixteen tunes, thanks to you and your videos. Now my question I have a Córdoba 65 cms full size which comes with Savarez Crystal High Tension strings which I have tuned to 415.Should a try the Savarez 520B’s also tuned to 415 or perhaps persevere with the originals? Hi Paul, thanks for your supportive comments. Much appreciated. It’s difficult for me to tell you what would be best for your guitar, your hands, your taste. I think we all have to do a little experimenting. For me, low tension works best, so I often use medium-tension strings tuned down a bit. Anyway, keep at it. I’m only 11 years behind you, which I’m sure will fly by. Thank you so much for your reply, will let you know how the experiments went!